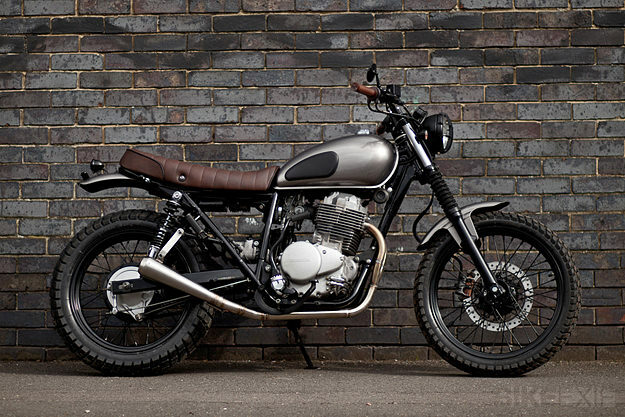 The Honda CL400 is easy to come by in England, and it’s a good starting point. 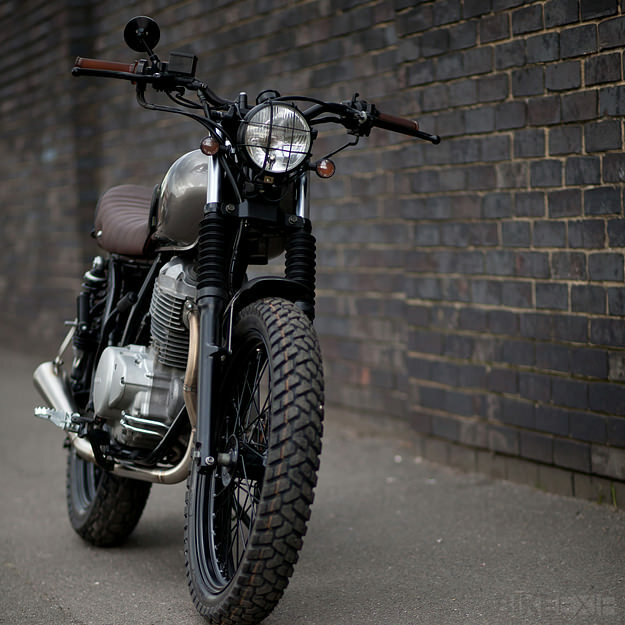 It’s a simple design with an air-cooled 387cc single, and cheap to maintain. The stock CL400 has a low dry weight of 140 kg (308 lbs), but Urban Rider has taken this down even further to about 122 kg (270 lbs). To put that into perspective, this road-legal CL400 is less than half the weight of a Harley Sportster 883. Urban Rider did this by replacing the stock exhaust with a Co-Built stainless steel flat-track style system, stripping out the airbox, and shortening the frame. The new exhaust also reduces the width of the bike, making it even better for city commuting, and it has a power to weight ratio better than many mid-capacity nakeds. 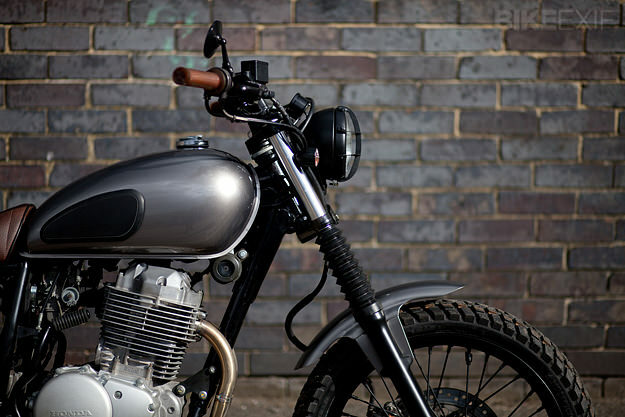 It sounds like a job tailor-made for the Yamaha SR400, but the Honda is much lighter. And because it’s a late 90s design, it boasts more modern running gear. 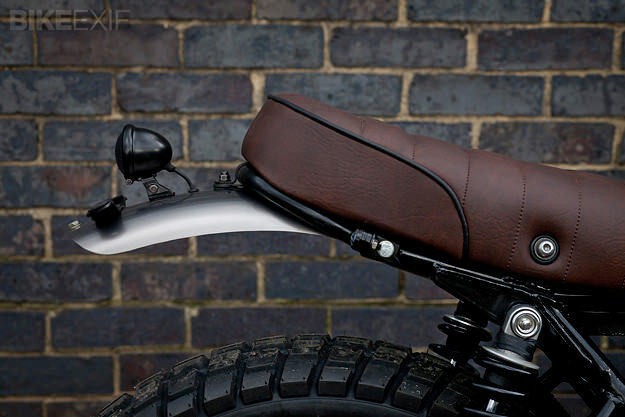 It has automatic decompression so it’s easy to start, and a front disc brake as standard. Other Urban Rider mods include a Motogadget speedo, Ikon shocks, LED indicators, Renthal bars, and a custom seat and paintjob. Steve Hallam of the Motorcycle Wiring Co. revised the electrics. 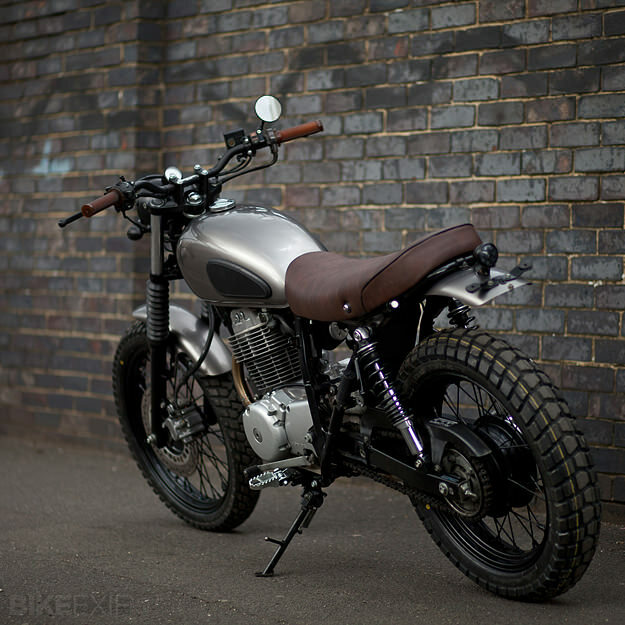 “It’s a halfway house between old bikes and more expensive modern retro bikes,” says Starritt. He’s accepting commissions from £4,500 (US$6,800) and upwards, depending on how far people want to go. Looks like the perfect street bike for commuting and fun—and one that you can leave in a parking bay without fear of expensive damage. If your appetite is whetted, contact Urban Rider via their website. With thanks to photographer Gary Margerum.